Fergus Macleod conducts English National Opera's production of Gilbert and Sullivan's 'The Mikado' this month – so we asked him to pick out some of his favourite characters and moments. 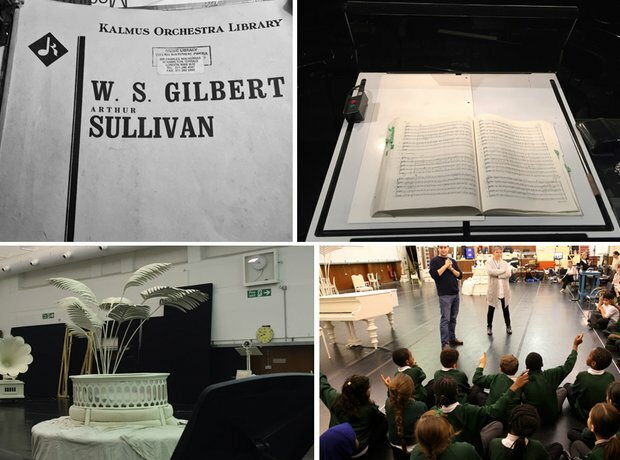 We asked Fergus Macleod to give us a conductor's eye view of conducting Gilbert & Sullivan's masterpiece. So, without further ado – here he is: "I was really fortunate to be able to consult the late great Sir Charles Mackerras’ score during my learning and discovery of the piece. During this process, as part of our education programme, we invited local primary schools to come and watch three rehearsals – pictured bottom right are some of the children, our director and me"
10. "To joy we soar"